A Brand New Genuine R/H side Peugeot 106 wing mirror (UK DRIVERS SIDE). 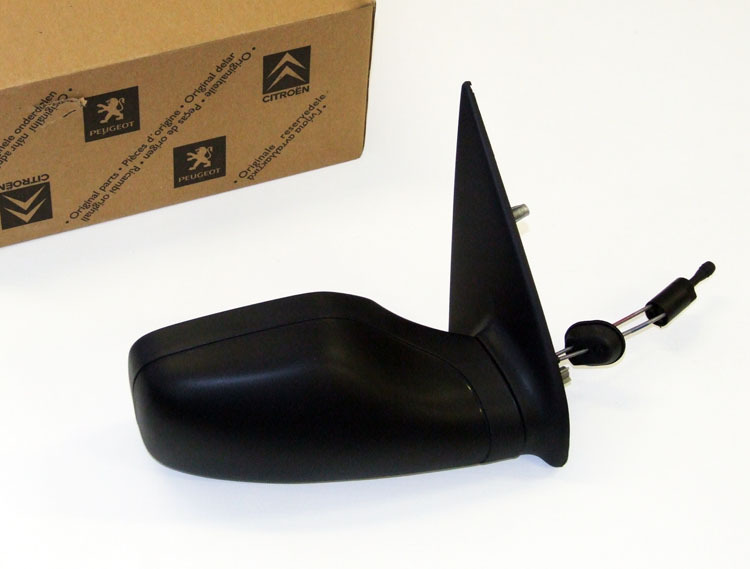 This part will fit all Peugeot 106 models with manual wing mirrors fitted as standard. PEUGEOT 106 MODELS 1995-. Part Description: A Brand New Genuine R/H side Peugeot 106 wing mirror (UK DRIVERS SIDE). This part will fit all Peugeot 106 models with manual wing mirrors fitted as standard. PEUGEOT 106 MODELS 1995-.